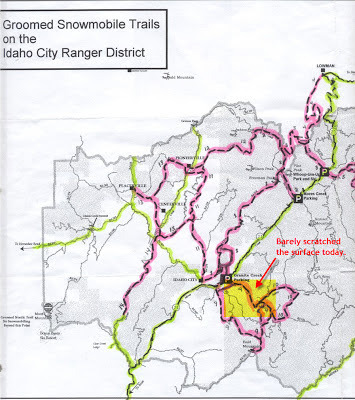 There are times when you can pour over the maps, zoom in with Google Earth, and/or read the snowmobile club websites for trail info, AND the adventure just doesn't pan out. Today was not one of those days. We scored. 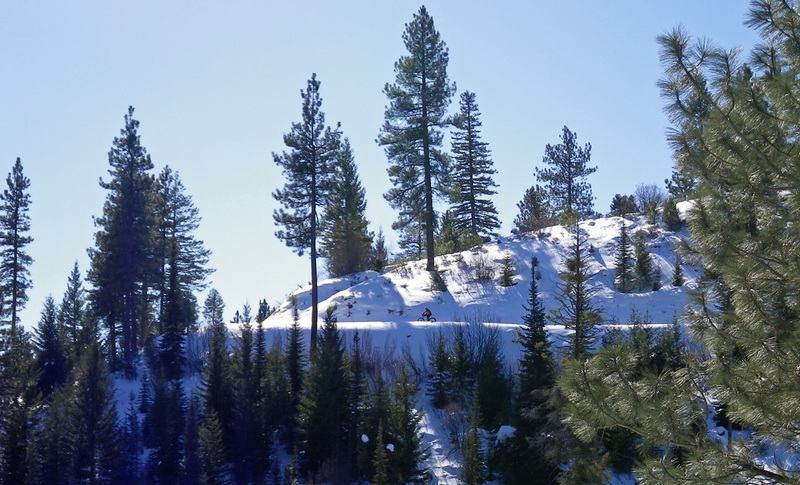 Less than an hour north of downtown Boise is a large network of groomed snowmobile trails waiting to be explored on fat bikes and today we barely scratched the surface. Ok, I cheated a little bit and found a grooming report on the Boise Snowmobile Club website which indicated that the area I wanted to ride just so happened to be groomed yesterday. Is it wrong that when I arrive at a trail head with my fat bike and find fresh corduroy I have similar reaction to that of a skier on a powder day? M and I had only planned to be out for 2-3 hours so we weren't able to complete the entire 27-mile loop but the out-n-back we did was awesome. 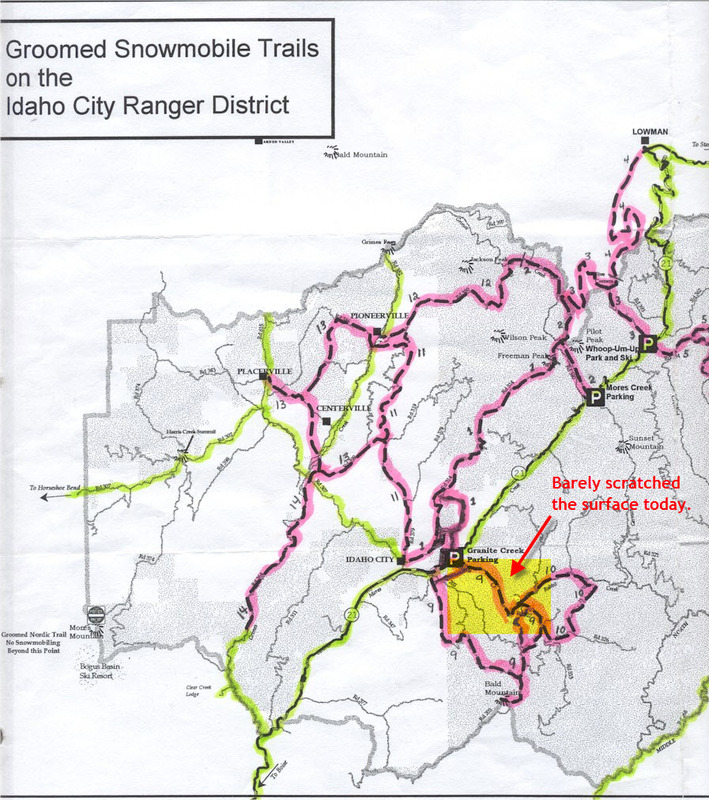 In fact, I would say that this was quite possibly the most perfectly graded Forest Service road I have ever been on. From the trail head, this road climbed at a steady 3-4% grade for nine miles. 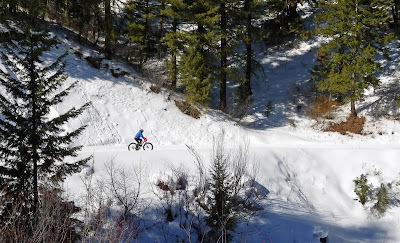 I am pretty sure it kept going for another 3+ miles before descending but we had to turn around. Note to Self: Bring more clothes, a balaclava, & goggles for the long descent next time. 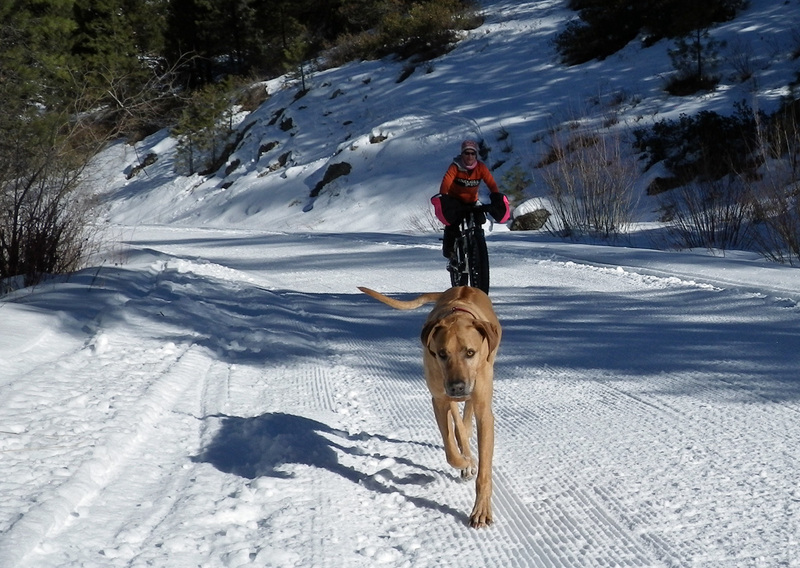 Why am I just now, on Feb 10th, exploring snowmobile trails to ride the fat bike on? 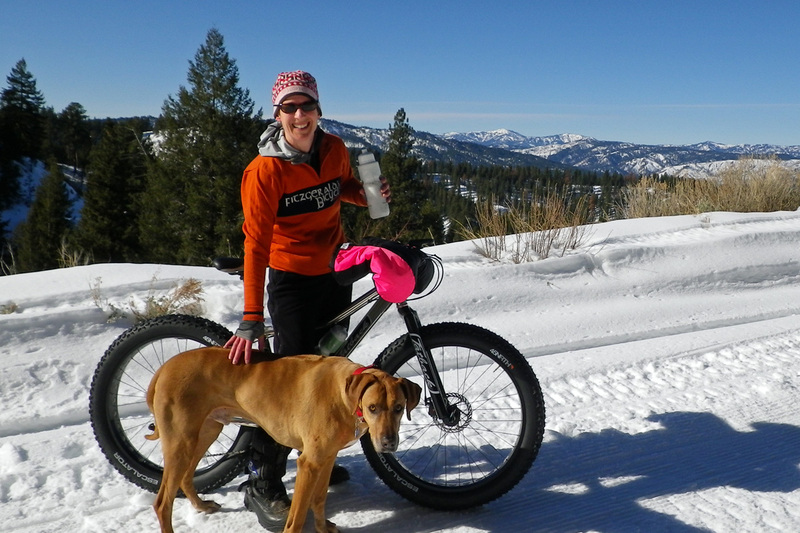 Well, up until about a week ago we were shredding the local singletrack (in its glorious frozen and snow-packed state) on the fat bikes so there really wasn't any need or motivation to go exploring. 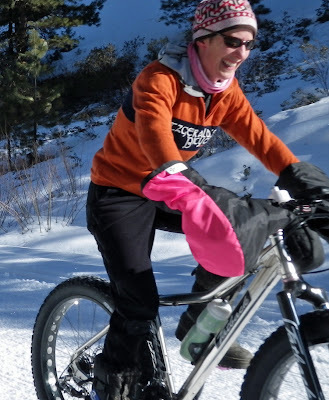 Now that the lower trails are in a slush/mud/freeze cycle, the choices are either road riding or heading to higher elevation and exploring on the fat bike. Today we chose the latter and it was awesome. The fat bike stoke is HIGH right now and more exploration is imminent! 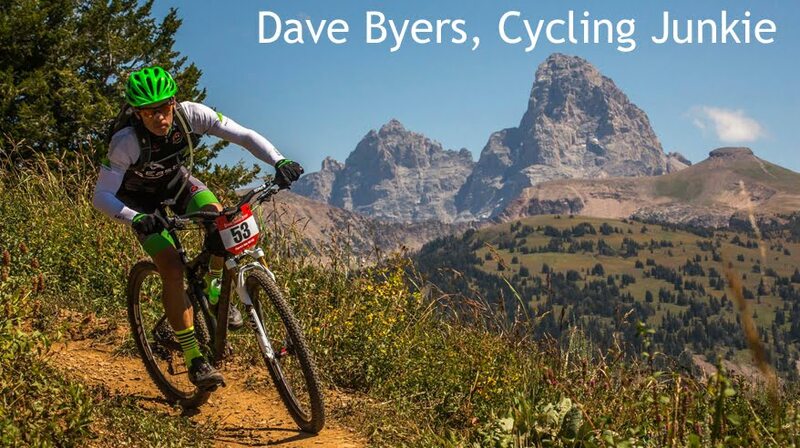 Awesome Dave! Good TWC training ride!